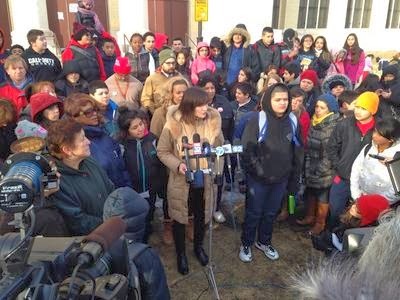 Chicago’s Students United for Education Justice Chapters (SUEJ) stands in solidarity and supports teachers and families at Maria Saucedo Scholastic Academy and Thomas Drummond Montessori School, who have announced their intent to boycott the Illinois State Achievement Test (ISAT). We admire your courage to risk your employment while CPS is threatening to take disciplinary actions against educators who refuse to administer the ISAT. Excessive standardized testing dehumanizes children and eliminates the beauty of quality education. You will be remembered by our children in Chicago as defenders of quality education. 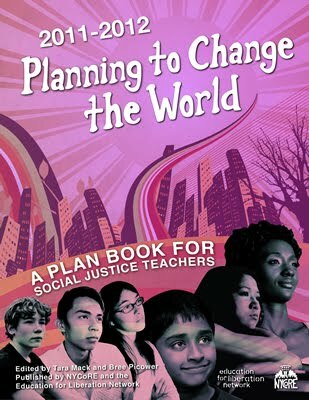 As educators, we want our children to become critical thinkers and not automatic thinkers filling employment gaps dictated by the global market. Your brave leadership is to be admired, and it encourages us to continue fighting for quality education. You are not alone; there is an army of educators ready to defend you. Your fight is our fight.